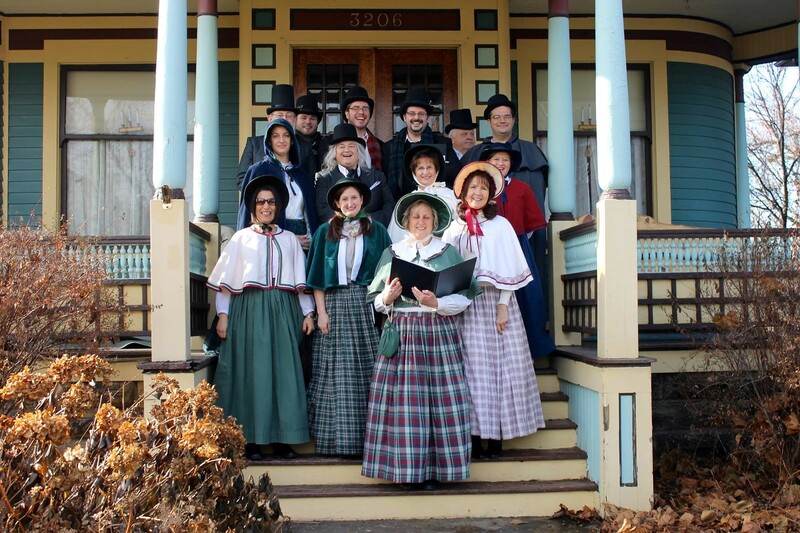 This harmonious group has performed at a variety of venues including the Disney Train Tour (Cleveland stop), the Cleveland Playhouse Festival of Trees, the Horseshoe Casino, Great Lakes Brewery, Great Northern Mall, the Cleveland Aquarium, West Side Market, etc. In addition, they have added a touch of class to many business open houses, community events, care facilities, church services, and private parties. “Sometimes we are hired to perform a concert (i.e., care facilities), and other venues prefer background music and a live Christmas decoration,” said Renee DeSantis, who sings alto in the group along with her daughter Marissa. “Each venue is different and we accommodate the host or hostesses’ wishes”. 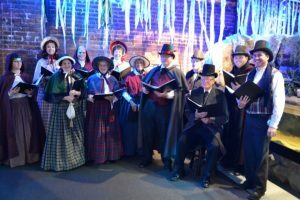 The Broadview Heights Spotlights Community Theater is a tax-exempt, non-profit organization, and monies raised by the caroling group help fund the Spotlights’ educational purpose and facility expenses. 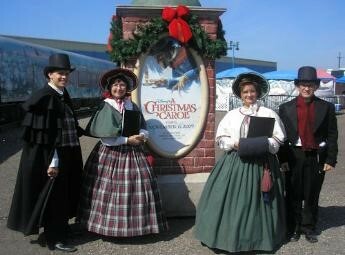 The Spotlights Carolers are now booking for the coming holiday season. For rates and availability, contact Annette Phelps at a.phelps25@att.net (preferred). The Broadview Heights Spotlights Costumed Carolers performed at the Disney A Christmas Carol Cleveland Train Stop. Donning Victorian Garb, the Costumed Carolers have performed at venues all over Northeast Ohio. Here they are at the Cleveland Aquarium.